When Georgilee Henry (nicknamed Hank) completed the nurse training program as a WAC and received her RN degree in 1943, her assignment was Fort Myers, Florida, to serve under Dr. Heywood Bartlett. Then, just nineteen years old, the fifth of a family of six children, “Hank” was taken under Dr. Bartlett’s wing and into the hearts of all in his family, including his wife, Mary Elmore Bellingrath Bartlett, and most especially, their daughter, Elmore Barlett, whom Hank took to her first day of school. 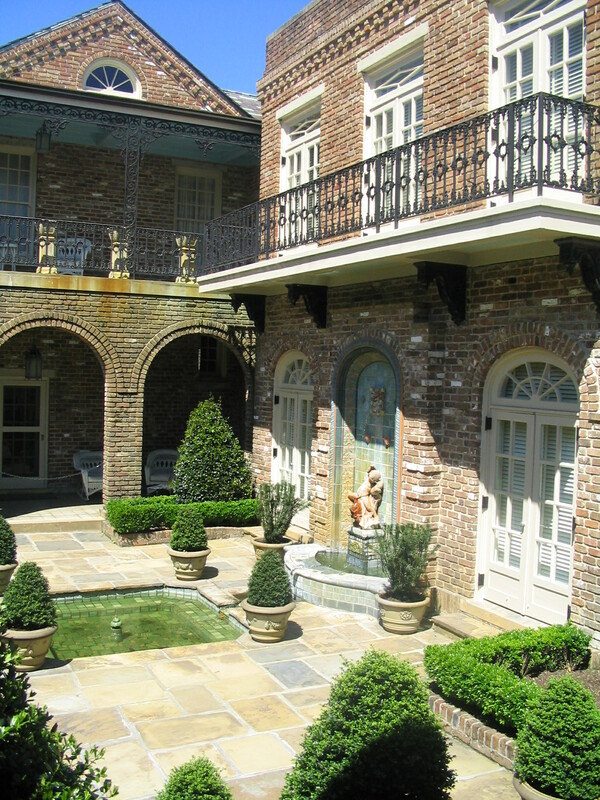 Mary Elmore Bellingrath Bartlett (named for her mother, Mary Elmore, but known as “Elmore” Bartlett) was once listed with her sisters, Jean Bellingrath (who married John Albritton, then, when widowed, McMillan Lane), and Suzanne Bellingrath (who married George von Gal) as the wealthiest women in Alabama. These women were daughters of William Bellingrath, brother of Walter Bellingrath, who, with his wife Bessie Morse Bellingrath, established Bellingrath Gardens. While Walter and Bessie Bellingrath had no children, they had the love and affection of all of their nieces and nephews. Hank Elmore remembers “Uncle Walter” fondly. Tom McGehee, Museum Director, encourages her recollections as we walk through the beautiful home that she visited first with the Bartletts before being a part of the family. 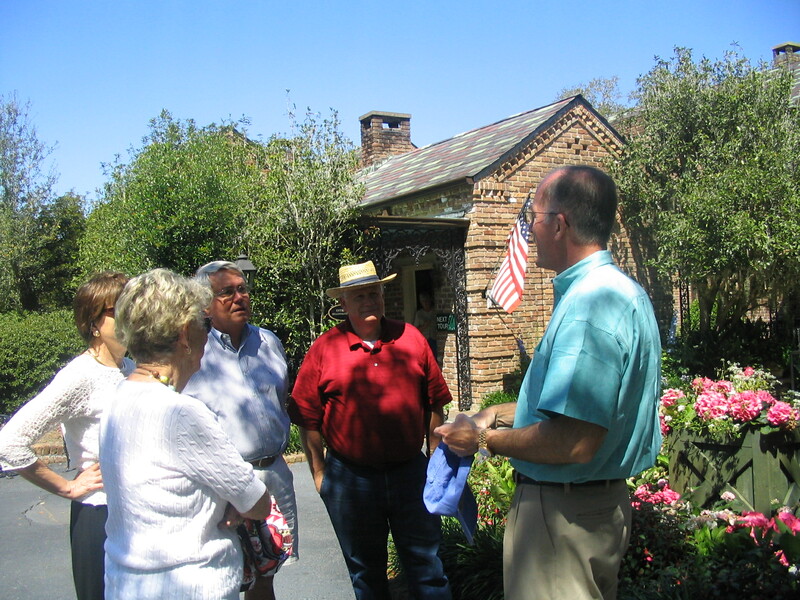 Hank identifies the members of the von Gal wedding party in the picture in the guest entrance to Bellingrath Gardens. “There’s Elmore,” she says of the child standing in the front. Hank grew to love the little girl she took to the first grade more and more over the years. The affection was mutual. Elmore Bartlett Inscoe donated $1 million to the University of Alabama building fund for the School of Nursing in Hank’s honor to add to the $1 million Hank and her two daughters, Kate Elmore Wolverton and Jane Elmore Mickle donated in Stanhope Elmore’s memory. 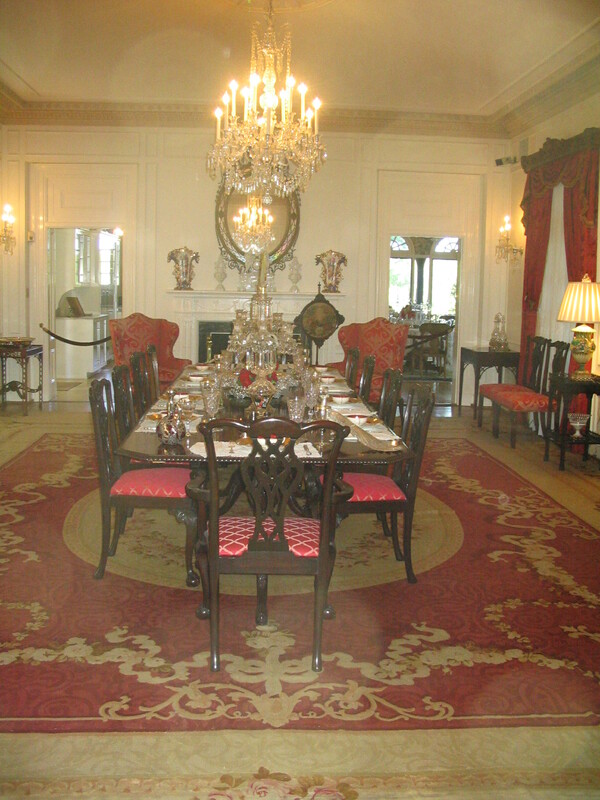 Hank recalls being a guest at the breakfast room table and for supper in the elegant dining room. 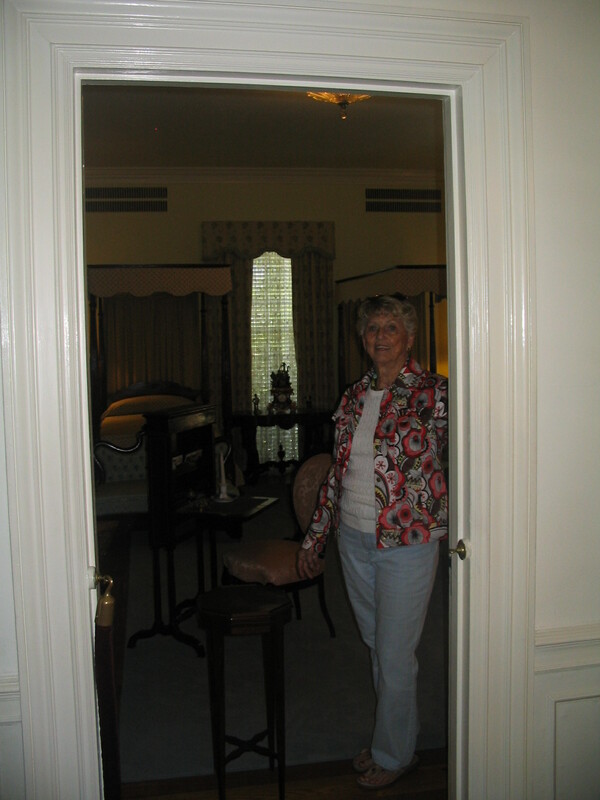 The room she calls “my room” at the head of the stairs that she later shared with her husband Stanhope Elmore has been rearranged. The tester bed is missing from the room which is now furnished with twin beds. Downstairs, Hank looked, but could not locate, the place in the informal breakfast room where the liquor was hidden, something she and “Uncle Walter” enjoyed after “Miss Bessie” had retired for the evening. The Bellingrath fortune was founded on Coca Cola. Two brothers, Walter and William, took a chance and sank every hard earned penny they had on the Coca Cola bottling franchise for South Alabama. Since the two brothers did not see eye to eye on business particulars, they decided to split their territory with William taking Montgomery and Walter taking Mobile. Mary Elmore, Stanhope Elmore Sr.’s sister, married William Bellingrath. 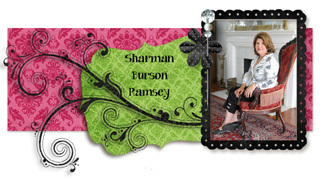 When Stanhope Elmore, Sr. came to Montgomery to stay with his sister and her husband to attend college, his uncle put him to work in the plant. He later acquired several bottling companies, including one in Dothan, Alabama, where Stanhope, Jr. and his bride, Hank eventually settled. They raised their girls in a modest home on Girard Avenue and Hank played golf at the Dothan Country Club, the center of the social life of the city. Hank recalls attending Virginia Durr’s 80th birthday celebration, given by her daughter Lucy Durr Hackney, wife of the president of the University of Pennsylvania, Sheldon Hackney, at Martha’s Vineyard. The party was attended by Lady Bird Johnson, Art Buchwald, and other Washington notables. Kate Durr Elmore, Stanhope’s sister, was a great friend of Scottie Fitzgerald, F. Scot and Zelda’s daughter. 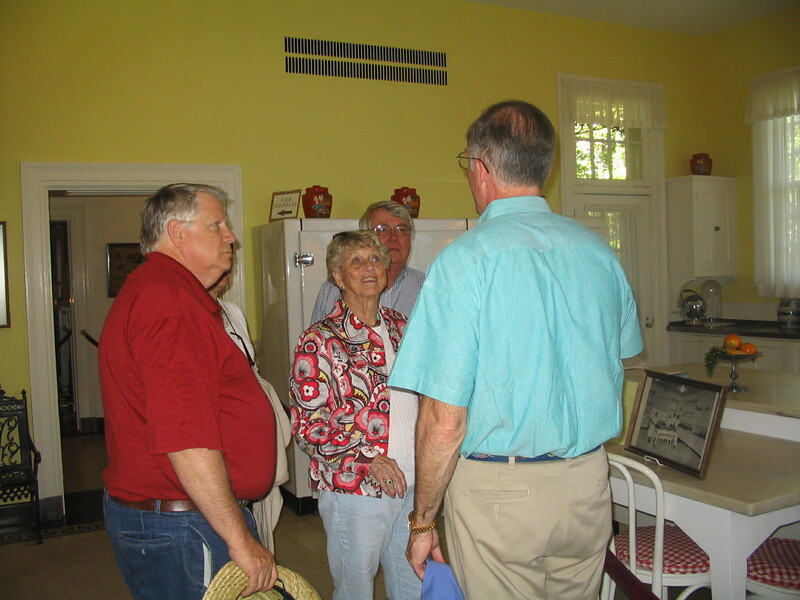 Hank joined in on happy visits with her sister-in-law and Scottie in Montgomery, Alabama when visiting Stanhope’s father and mother and brothers, Nesbitt Elmore, John Durr Elmore, and William Bellingrath Elmore. It was a great day for Alabama and Dothan, particularly, when Stanhope and Hank Elmore returned from the family’s bottling company in Independence, Missouri, to manage the Dothan Coca Cola Bottling Company. Stanhope Elmore, Jr. was much involved in community affairs and Hank has honored Stanhope’s love for the Boy Scouts by continuing service on its Board of Directors. 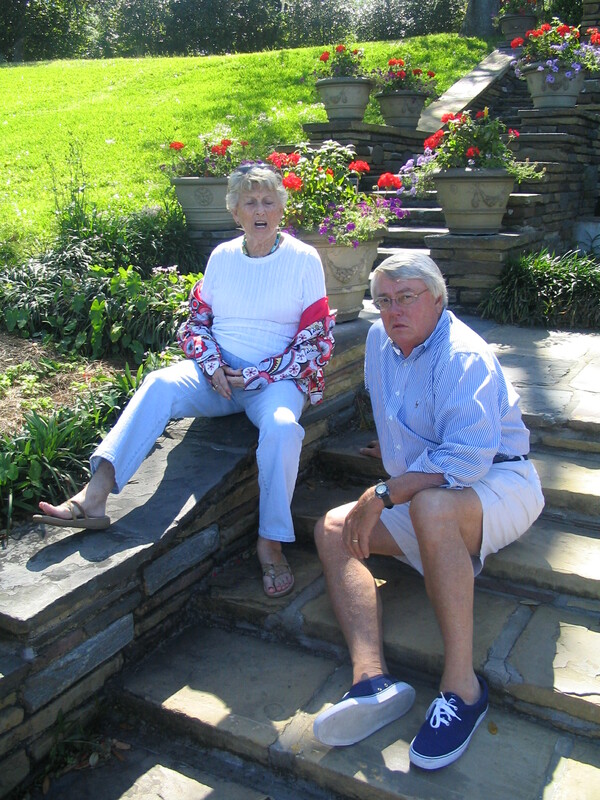 Although Hank attended the University of Oklahoma and Stanhope attended Sewanee, their shared devotion for the University of Alabama is evident by her loyalty to the University she and her husband adopted as theirs long before both daughters, Kate and Jane both attended the school. While some might be impressed by Hank’s association with the politically and economically powerful, Alabama fans will most appreciate her friendship with Bear Bryant. 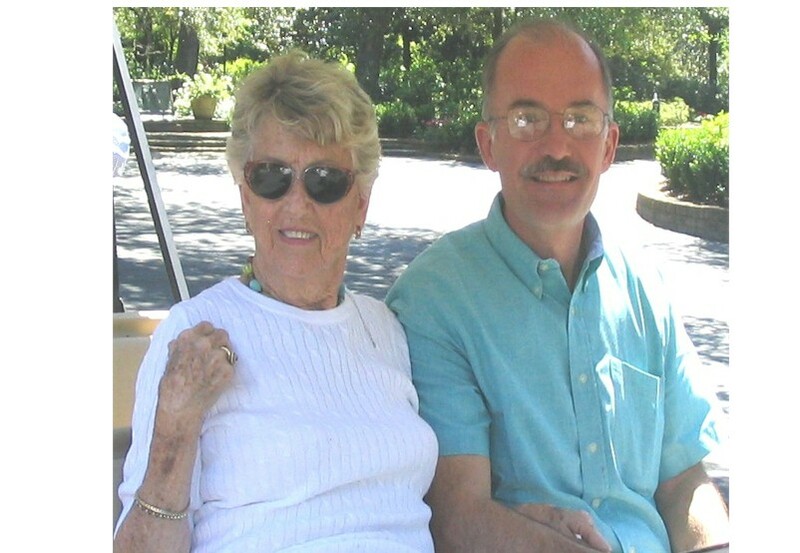 Hank’s greatest joy is the fact that her grandson, Hank Wolverton of Orlando, Florida, given many other opportunities at highly regarded universities, will be in the Honors program at the University of Alabama next year. 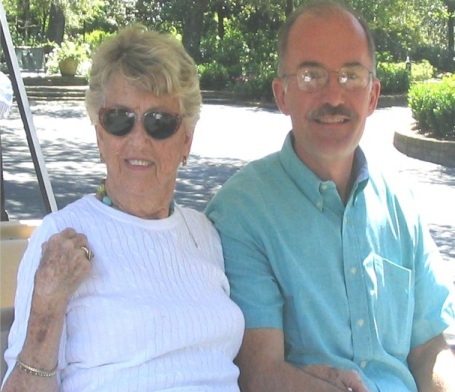 Her other grandson, Andrew Mickle, of Huntingdon Beach, California, although now just 13, swears his loyalty to the University of Alabama as well. Hank’s only granddaughter, Sarah Mickle, now 21, has stayed close to her parents in California and attends the University of California in Santa Barbara. Hank holds out hope of getting her daughters closer to home when their sons join the family’s University of Alabama tradition. 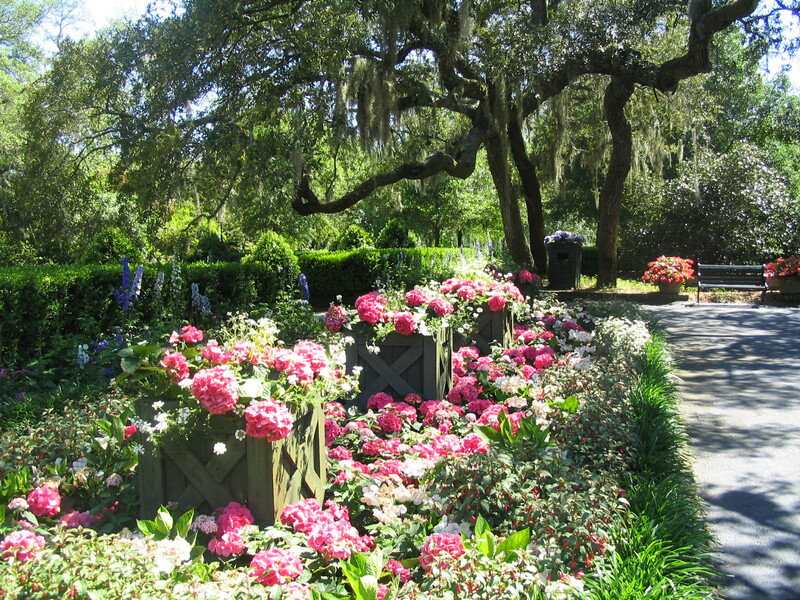 While most of us see Bellingrath Gardens as one of the nation’s premiere garden treasures, to Hank Elmore it is a treasured family memory. 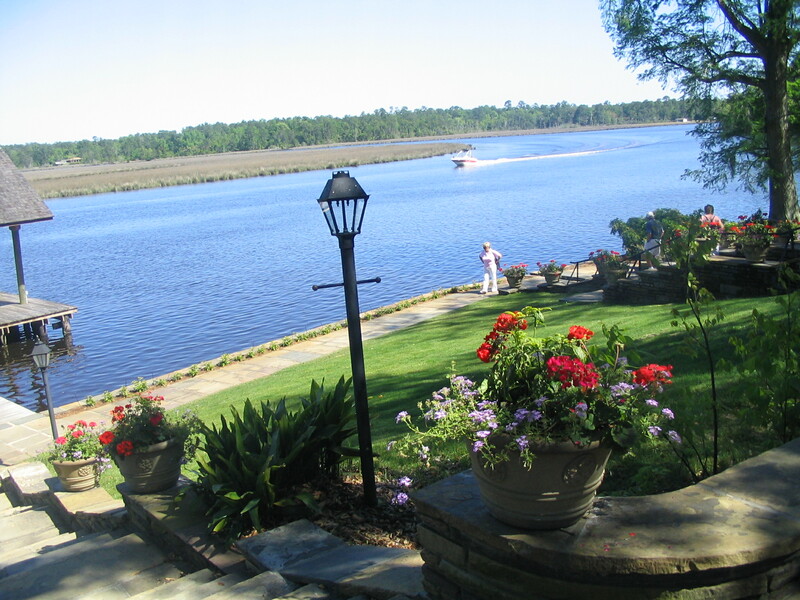 84 years old, bubbly, vivacious, Hank Elmore now divides her time between Dothan and Panama City Beach, Florida. She remains involved with family, friends, the Episcopal Church, and her community. Hank Elmore continues to bring joy to those around her and to make the world a better place in her own inimitable way. 2 The Politics of Presidential Appointment: A Memoir of the Culture War. By Sheldon Hackney, foreword by Vernon E. Jordan Jr. Montgomery: New South Books, 2002. US Supreme Court Hugo Black. Thanks to Rainer Jonas for sharing this genealogy. 1. Elmore Bartlett wurde ungefähr 1922 in USA geboren. Elmore heiratete Jim Inscoe ungefähr 1945 in USA. Jim wurde ungefähr 1920 in USA geboren. 2. Dr. Heywood Bartlett wurde ungefähr 1893 in USA geboren. Er heiratete Mary Elmore Bellingrath ungefähr 1920 in USA. 3. Mary Elmore Bellingrath wurde ungefähr 1895 in Alabama,USA geboren. 6. William Albert Bellingrath wurde 1868 in USA geboren. Er starb am 11..März.1937 in Montgomery, Alabama,USA. Er heiratete Mary Elmore ungefähr 1893 in USA. 7. Mary Elmore wurde ungefähr 1870 in USA geboren. 12. Leonhard Bellingrath wurde am 16..April.1832 in Lennep, Rheinland, Deutschland geboren. Er erhielt am 24..April.1832 in Lennep, Rheinland, Deutschland die Kleinkindtaufe. Er starb nach 1880 in Anniston, Calhoun, Al,USA. Er heiratete Catherine Jean McMillan am 12..September.1855 in Fayetteville, Cumberland Co., North Carolina,USA. 13. Catherine Jean McMillan wurde 1834 in Fayetteville, North Carolina,USA geboren. 24. matthias wilhelm Leonhardt Bellingrath wurde am 03..August.1809 in Lennep, Rheinland, Deutschland geboren. Er erhielt am 04..August.1809 in Lennep, Rheinland, Deutschland die Kleinkindtaufe. Er heiratete clara Maria Schellmann am 27..November.1831 in Lennep, Rheinland, Deutschland. 25. clara Maria Schellmann wurde ungefähr 1810 in Lennep, Rheinland, Deutschland geboren. 48. johann Henrich Bellingroth wurde am 28..September.1777 in Buschhausen,Ründeroth, Rheinland, Deutschland geboren. Er heiratete clara Wilhelmina Knipping am 19..November.1805 in Lennep, Rheinland, Deutschland. 49. clara Wilhelmina Knipping wurde ungefähr 1780 in Lennep, Rheinland, Deutschland geboren. 50. Conrad Schellmann wurde ungefähr 1780 in Lennep, Rheinland, Deutschland geboren. Er heiratete Clara Maria Krautmann ungefähr 1805 in Lennep, Rheinland, Deutschland. 51. Clara Maria Krautmann wurde ungefähr 1782 in Lennep, Rheinland, Deutschland geboren. 96. johann Anton Bellingroth wurde am 09..August.1744 in Dörrenberg,Ründeroth, Rheinland, Deutschland geboren. Er starb nach 23..November.1794 in Buschhausen,Ründeroth, Rheinland, Deutschland. Er heiratete Christiana maria elisabeth Becher am 24..Mai.1769 in Ründeroth,Rheinland,Deutschland. 97. Christiana maria elisabeth Becher wurde in Grossfischbach,Wiehl,Rheinland,Deutschland geboren. Sie erhielt am 15..Januar.1747 in Wiehl, Rheinland, Deutschland die Kleinkindtaufe. Sie starb nach 23..November.1794 in Buschhausen,Ründeroth, Rheinland, Deutschland. 98. Johann Wilhelm Knipping wurde ungefähr 1750 in Lennep, Rheinland, Deutschland geboren. Er heiratete Anna Catharina Berghauss ungefähr 1775 in Lennep, Rheinland, Deutschland. 99. Anna Catharina Berghauss wurde ungefähr 1752 in Lennep, Rheinland, Deutschland geboren. 192. Michael Bellingroth wurde ungefähr 1719 in Müllensiefen,Ründeroth, Rheinland, Deutschland geboren. Er starb vor 24..Mai.1769 in Dörrenberg,Ründeroth, Rheinland, Deutschland. Er heiratete Maria Catharina Müller am 19..Februar.1744 in Ründeroth, Rheinland, Deutschland. 193. Maria Catharina Müller wurde ungefähr 1721 in Dörrenberg,Ründeroth, Rheinland, Deutschland geboren. Sie starb nach 18..Juni.1786 in Dörrenberg,Ründeroth, Rheinland, Deutschland. 194. Johann Jost Becher wurde ungefähr 1718 in Wiehl, Rheinland, Deutschland geboren. Er starb in Großfischbach,Wiehl,Rheinland, Deutschland. Er wurde am 18..Januar.1789 in Wiehl, Rheinland, Deutschland bestattet. Er heiratete maria Elisabeth Bubentzer ungefähr 1742 in Wiehl, Rheinland, Deutschland. 195. maria Elisabeth Bubentzer wurde ungefähr 1720 in Wiehl, Rheinland, Deutschland geboren. Sie starb in Großfischbach,Wiehl,Rheinland, Deutschland. Sie wurde am 25..Oktober.1774 in Wiehl, Rheinland, Deutschland bestattet. 384. Rörich Bellingroth wurde ungefähr 1693 in Ründeroth, Rheinland, Deutschland geboren. Er starb nach 16..August.1758 in Müllensiefen,Ründeroth, Rheinland, Deutschland. Er heiratete Anna Margareta Wilmünden ungefähr 1717 in Ründeroth, Rheinland, Deutschland. 385. Anna Margareta Wilmünden wurde ungefähr 1695 in Ründeroth, Rheinland, Deutschland geboren. Sie starb nach 14..August.1765 in Müllensiefen,Ründeroth, Rheinland, Deutschland. 386. Christian Müller wurde ungefähr 1680 in Ründeroth, Rheinland, Deutschland geboren. Er starb nach 29..Juli.1750 in Dörrenberg,Ründeroth, Rheinland, Deutschland. Er heiratete Engel Bickenbach ungefähr 1715 in Ründeroth, Rheinland, Deutschland. 387. Engel Bickenbach wurde ungefähr 1682 in Ründeroth, Rheinland, Deutschland geboren. Sie starb 1744/1750 in Dörrenberg,Ründeroth, Rheinland, Deutschland.